What is a proxy and what is an IP address? Before we can know what is a proxy and what can be the benefits and the risks of using one, we must first understand what is an IP address and how it is used on the internet. Your IP address, similar to your personal address, is a location you cite to other people, or in this case computer so that they would know where to send the information you have requested. You disclose your IP address to others so that they can send their web pages, emails or software to your home PC, phone or tablet. Your IP address is given to you by your Internet Service Provider (ISP) and while its primary use is very beneficial, there are risks if too many people who you don’t trust know your IP address. Proxy literally means a substitute and it is used as a substitute IP address for your computer in the case that you can’t access some website from your own, or if you want to keep an anonymous internet identity while browsing websites that you don’t trust with your home IP. The best comparison, when discussing both risks and benefits of a proxy server, is a remote P.O. Box where you are receiving all the mail you don’t want to have in your home, and it is usually done for the same exact purposes. Most proxy connections are used in countries where the state legislation forbids connections to specific websites and in places like China where around 29% of the population is using a proxy server or a VPN to connect to the internet. While proxy servers are cheaper to use, they come with the risk of people on the proxy server collecting your information and knowing both your own IP address and the information you were accessing. Even with those risks, many are using the opportunity of a proxy connection to see something they would, in different cases wouldn’t be allowed to see. Creating a proxy connection is, in fact, quite easy. Either when you are trying to make a proxy server, or if you are trying to connect to an existing one, both solutions have a wide range of apps that will make this task fast and easy. Many of those apps are built in into your Operating System (OS). This large set of additions that make proxy connections easier are mostly focused on business users and larger companies that prefer to have their connection going through a secure server with a much stronger protection than would be possible on a regular computer. Connecting to the internet through a proxy computer is very similar as when using your own modem, but instead from a direct connection, you are using a Local Area Network (LAN) connection through another computer, finally connecting to the internet through that modem. For computers using Windows, MacOS or Linux this is a fairly straightforward task of entering your Internet Options, checking the use proxy server as LAN box and entering the IP address of the computer you wish to connect to. For using tablets and phones it is required to use a third party app and choose from a list of proxy servers that are set to reroute your connection and mask your original IP. Once you are connected to a proxy server, that computer receives your requests and sends them to other websites and applications, using its own IP address. Obviously, the problem with this is that all of the requests you are making are being recorded by the proxy server, but if you are confident in the privacy of the server, or if you don’t care about that party knowing your browser history through that proxy, this is the easiest way to go. There are four types of proxy servers, which all differ by the level of anonymity and by what are they used for. These types include Anonymous Proxy Servers, High Anonymity Proxy Servers, Transparent Proxy Servers and Reverse Proxy Servers. The most familiar type of proxy is the Anonymous Proxy that is used to mask the IP address of the original computer. There is no way for the endpoint computer that is receiving your requests to find out which is your home IP and, if there is a need for even higher security the connection between you and the proxy server may be encrypted. This is the way that most individual users connect via proxy. The High Anonymity proxy provides even more anonymity than the regular connection as it doesn’t present itself as a proxy server, but as a regular computer creating a one-way request to the internet. This way the endpoint website or application refers to the proxy server as a client and not as a node point, preventing the restrictions that some websites and applications pose on proxy servers. While this is not something that most personal users would even consider a proxy server, a transparent proxy is only used as a go through server and presents the home IP as the computer making the request. As there is no anonymity, this type of proxy server is not used for the same purposes as the first two, but rather as resource sharing computer for some business. This type of proxy is the base for many cloud-based systems, which are using multiple proxy computers but are always showing the primary IP address. The last type of proxy server is the reverse proxy where the goal of the connection is not to shield you accessing web pages and applications, but to prevent other on the internet from freely accessing your computer. While this type of proxy has a personal application for people who store sensitive data on their hard drive, the usual application is with larger businesses that have company resources on individual computers, and by using a reverse proxy connection they are preventing third-party connections to those computers, but rather to the server that can be protected with a large number of encryptions, firewalls and other measures. Depending on the type of a proxy connection, it can be used either by an individual, a small group or a business. The two main reasons to use a proxy are to mask the requests to the internet from your IP or to shield from other people on the internet making requests to your IP directly. These two categories further have multiple variations on where, how and why people use a proxy connection. The two main reasons why personal users connect to the internet via a proxy connection is to combat two hurdles posed wither by governments, ISPs or large corporation such are restrictions and data collection. Some countries, the most famous example being the People’s Republic of China, restrict access to a wide range of websites and application, making it impossible for a user with a Chinese IP address (one provided by the Chinese ISP) to see the web content or use the application. See our list of top 10 countries with the most heavily censored Internet. This reason is also used for content restricted by the publisher for some reason, where it is banned from certain countries, which happens often with TV shows and online movies that are awaiting official publishing in some regions. 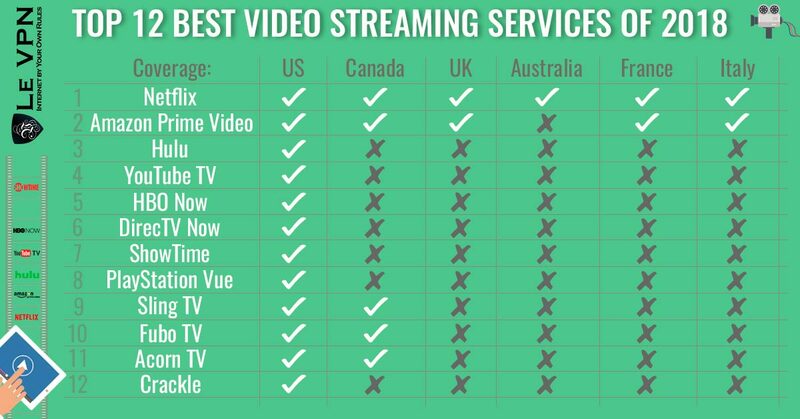 For example, some of the best video streaming services are only available in the US and are restricted to users outside of that region. Read on to find out how to unblock TV shows and online video streaming from anywhere in the world. Users also use proxy connection when they want to prevent their ISPs, governments or corporations to collect data on their browsing habits. Here, the most popular example is none other than the United States, where ISPs are able to sell your browsing metadata to both government agencies and retailers, who can then tailor your ads by your browsing history. The two reasons business users use a proxy connection is either to share resources or to protect information. Using a company server as a proxy usually does both of these tasks in any larger company, and even many smaller ones that do a lot of their business online. In this case, the main server computer can be set up to protect any incoming requests and also to store information that could then be accessible from all computers inside a network. There are other reasons why people use a proxy connection and new uses are made for this option every day, especially when we include Internet of Things (IoT), but most users cite their reasons in these four groups. Using a proxy connection can allow for a significant dose of anonymity but it should be good to know that you are not anonymous from everyone when using it. While your IP address will be masked from the computer you are sending your internet request to, it will be known to the proxy server itself, even when your connection to that server is encrypted. Anonymity, in the case of proxy connections, is more focused on the automated collection and recognition of data from your computer than the actual anonymity from specific persons that would want to track your movement and browsing. In this case, your information is only as secure as are the protocols on the proxy server and for larger servers, that make a business of providing easy access to them and their services, the potential from hackers knowing your IP address may be quite high. In general, you should regard your proxy connection as a way to mask your IP and not any security or anonymity measure, especially if you are a personal user using a proxy server service. For optimal Internet security and anonymity you need to use a VPN. Don’t leave your personal information around using a proxy and always be sure that you have protected your own computer with updated security systems. While the actual number of proxy servers worldwide might be enormous, there is only a limited number of public proxy servers that offer this type of connection reliably and with a quick connection. You should never use a public proxy service with a low rating (below 70) and should monitor often to see if the server you are using has fallen below that number. Other factors when using a proxy server is the uptime of the server, as you don’t want to be disconnected from the proxy in the middle of your work, the access time the server is providing to you, as you may need more time to finish all requests, and finally the country where the server is located as this might influence both the ping time and the restrictions you are trying to surpass. When using a public proxy there are two main risks that you should be aware of, primarily as they are not within your reach and you will not always know if you are being exposed or not. The more common risk your computer might be exposed when using a proxy is spyware that is usually downloaded as free software or pushed through malicious websites. This is where the quality and protection protocols of your proxy connection server come to show as high-quality, trusted proxy providers will have advanced security protocols that will make any spyware docile, rendering it unusable even if it is installed on your computer. Those servers that don’t have this kind of security will allow the malware to send your computer information, including your IP, through the server, and disclose everything you are trying to hide, rendering the proxy service useless. The other risk, which is truly beyond your control, is the ability of hackers to, for whatever reason, take over the proxy server and monitor, collect and change any data that comes through these servers. This means that if you are using a proxy that has a low or unavailable rating, all of the information you are typing might be subject to collection, including your personal information such are your passwords, credit card information and even your social security number. A proxy connection should be used only for specific purposes and never as a substitute for regular security protocols when using your computer. While the kinds of server takeovers as mentioned above are rare and usually dealt with quickly, you will not have any information that your connection has been taken over when using a public proxy server. 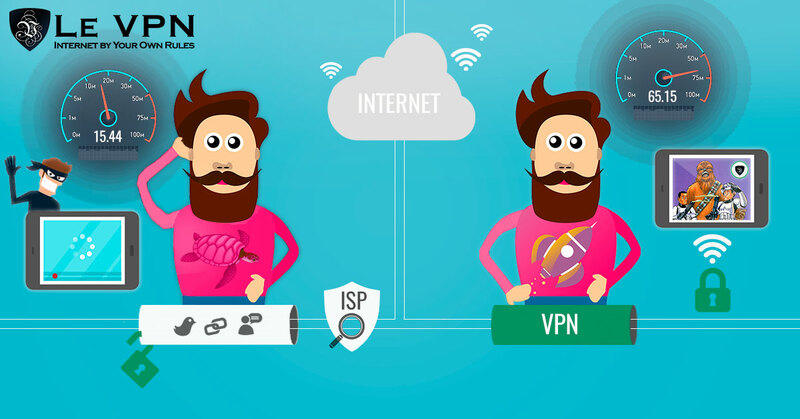 If for any reason you need to mask your IP address and to have a more secure and encrypted protection that will be secured not only from the automatic process but also any person with malicious intent, it is much safer to go with a high-quality, professional and trusted VPN provider than with a public proxy connection. A proxy should be regarded as a forwarding address for your computer. It usually uses only SOCKS and HTTP/HTTPS intermediary which can be intercepted both by hackers and by malware. A VPN connection scrambles all information between you and your VPN provider, making it next to impossible for third parties to intercept or see the information that is being transferred. While a proxy will mask your IP address from the main log of the website or application that you are sending your request to, it will not prevent any application on your computer from sending your IP with its regular data. This is usually visible when other appliances aside from your computer are connecting to the internet, like your printer or some other smart device. A VPN provider will provide you with the best aspects of a high anonymity proxy server, but with the added encryptions and safety protocols. As far as the internet is concerned, your connection location is whatever the location of the VPN server is, and your security is as tough as is the VPN providers, which is usually quite a lot. 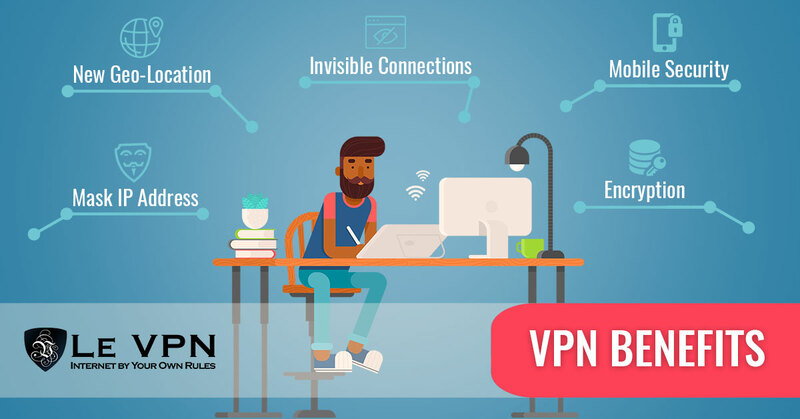 Le VPN is one of the oldest VPN providers on the market, offering a custom-made software for Windows, Mac, Android and iOS, different internet security protocols, high speeds of VPN connection and a selection of IP addresses in 114 countries. Try Le VPN by subscribing to one of its all-inclusive plans from $4.95/month with a 7-day moneyback guarantee.